New York City’s L train carries about 400,000 passengers a day, linking Manhattan and Brooklyn and bringing passengers along 14th Street, under the East River, and through the neighborhoods of Williamsburg, Bushwick, Ridgewood, Brownsville, and Canarsie. About 225,000 of these passengers pass through the Canarsie Tunnel, a two-tube cast iron rail tunnel built below the East River between Manhattan and Brooklyn in 1924. Like many other New York City road and subway tunnels, the Canarsie Tunnel was badly damaged when Hurricane Sandy’s storm surge inundated the tubes with million of gallons of salt water. Six years later, the impending closure of the tunnel is motivating New Yorkers to develop their own ambitious infrastructure ideas. There are some notable figures in history that you know of for just one single thing. They may have achieved much in their lifetimes or they may have only been famous for Andy Warhol’s fifteen minutes, but through the lens of time we only know them for that single achievement. Then on the other hand there are those historic figures for whom there is such a choice of their achievements that have stood the test of time, that it is difficult to characterize them by a single one. 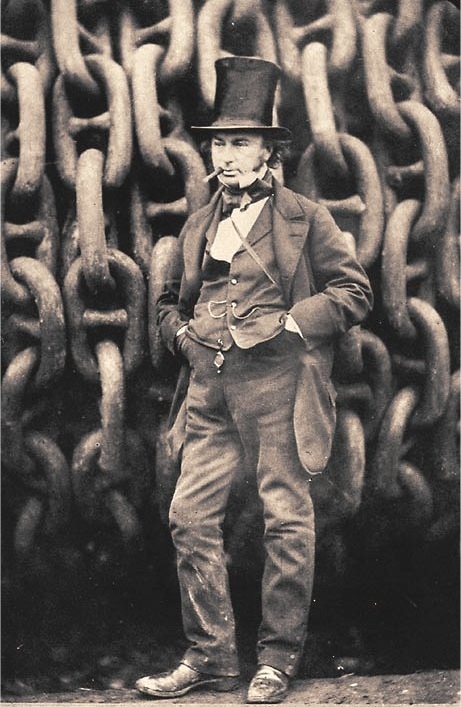 Such is the case of Isambard Kingdom Brunel, the subject of today’s Hardware Heroes piece. Do we remember him for his involvement in the first successful tunnel to pass beneath a river, as a builder of some of the most impressive bridges on the 19th century, the innovator in all aspects of rail engineering, the man behind the first screw-driven ocean-going iron ship, or do we remember him as all of those and more? It is possible that if you are not British, or in particular you are not from the West of England, this is the first you’ve heard of Brunel. In which case he is best described as a towering figure of many aspects of engineering over the middle years of the 19th century. His influence extended from civil engineering through the then-emerging rail industry, to shipbuilding and more, and his legacy lives on today in that many of his works are still with us. Brunel’s father, Marc Brunel, was an engineer and refugee from the French Revolution who found success in providing the British Navy with a mass-production system for wooden pulley blocks as used in the rigging of sailing ships. He enters this story for his grand project, the world’s first tunnel to be dug under a navigable river, beneath London’s River Thames from Rotherhithe to Wapping, and for his patented tunneling shield which made it possible to be dug. If you were to nominate a technology from the 19th century that most defined it and which had the greatest effect in shaping it, you might well settle upon the railway. 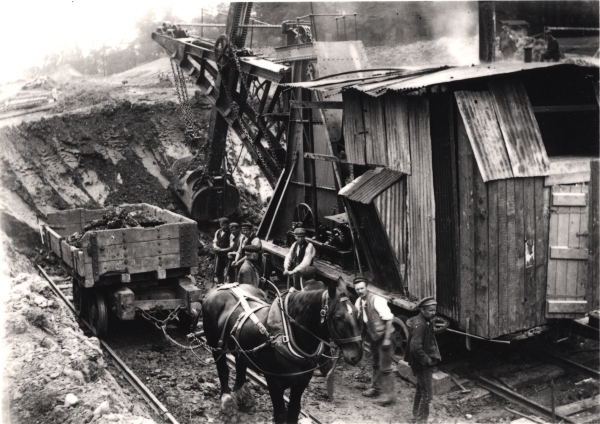 Over the century what had started as horse-drawn mining tramways evolved into a global network of high-speed transport that meant travel times to almost anywhere in the world on land shrank from months or weeks to days or hours. For Brits, by the end of the century a comprehensive network connected almost all but the very smallest towns and villages. There had been many railway companies formed over the years to build railways of all sizes, but these had largely conglomerated into a series of competing companies with a regional focus. Each one had its own main line, all of which radiated out from London to the regions like the spokes of a wheel. By the 1890s there was only one large and ambitious railway company left that had not built a London main line. The Great Central Railway’s heartlands lay in the North Midlands and the North of England, yet had never extended southwards. In the 1890s they launched their ambitious scheme to build their London connection, an entirely new line from their existing Nottingham station to a new terminus at Marylebone, in London. Since this was the last of the great British main lines, and built many decades after its rivals, it saw the benefit of the century’s technological advancement. Gone were the thousands of navvies (construction workers, from “Navigational”) digging and moving soil and rock by hand, and in their place the excavation was performed using the latest steam shovels. The latest standards were used in its design, too, with shallow curves and gradients, no level crossings, and a wider Continental loading gauge in anticipation of a future channel tunnel to France This was a high-speed railway built sixty years before modern high-speed trains, and nearly ninety years before the Channel Tunnel was opened. Concrete – it’s all around you. You probably walk on it, drive on it, and maybe even sit on it! From a civil engineering standpoint, concrete really is a miracle material. But, it does have its downsides, especially in heavily developed urban areas. One of the most glaring of those downsides is the tendency for water to pool and flood on concrete. However, a new concrete formula could dramatically improve that by allowing water to drain quickly through the concrete itself. While all unsealed concrete technically absorbs water, it does so very inefficiently and quickly becomes saturated. Once that happens, water will pool on the surface. This causes obvious problems for cars, as they become susceptible to hydroplaning. It also creates the potential for flooding in heavily paved areas. This new concrete formula, called Topmix Permeable, is designed to reduce pooling by letting the water flow through at the rate of 600 liters per minute per square meter! It does this by using larger gravel pieces in the mix, which leaves bigger gaps for the water to drain down into. From there, it can be absorbed by the underlying soil, or routed safely away from roadways and parking lots. Of course, this formula isn’t perfect. Its ability to pass through water also makes it likely to crack and quickly deteriorate in cold climates, as the water freezing and thawing inside the concrete will easily damage it. But, in warmer climates that receive a lot of rainfall in bursts, it could significantly improve safety.